These days we spend less time watching free-to-air TV and far more time indulging in full-length movies. 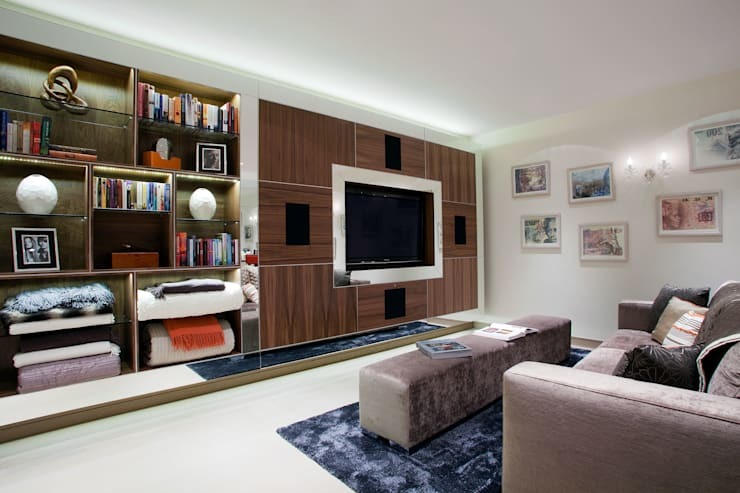 Naturally this got the team at homify thinking about how to design the perfect TV room. A great media room or home cinema will really allow you to immerse yourself in a favourite TV series, sports event or movie. It will also be the perfect place to snuggle up with loved ones and avoid the irritations of being jolted out of the cinematic world. That is of course if you haven't got chatty companions! Finally, it will help avoid the conflict of interests that happens when a room is used for many different tasks. As many know, this might just end up making your home a little more peaceful too. But before you throw a few pieces together and start on that movie marathon, it's good to explore the latest in snug seating and electronics to die for. 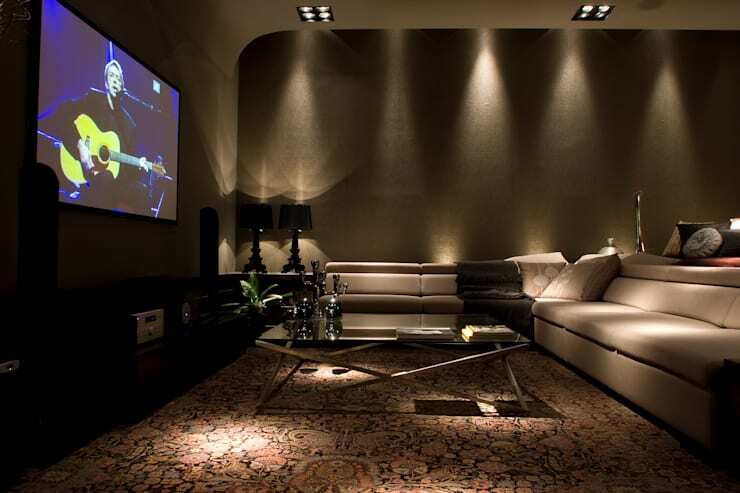 Keep reading for a few tips on designing the perfect TV room. Living rooms often turn into busy areas for studying and casual eating, but in a media room, there's no doubt about it—the TV is king. The TV should be at the front centre of the room and be easily viewed from as many different angles as possible. Wall mounted flat screens are de rigueur. But ceiling mounted projectors are an increasingly popular choice too. They are easy to install and the biggest benefit here is the size. It's possible to get a screen that can entirely fill your entire field of view for maximum absorption. It doesn't have to be expensive, but obviously it can get very exorbitant if you so wish too! Comfort is a top priority in any TV room. So decide weather you want a communal area or just a place to lie in front of the TV and not move for hours. It's important to have the option of footstools for stretching out. 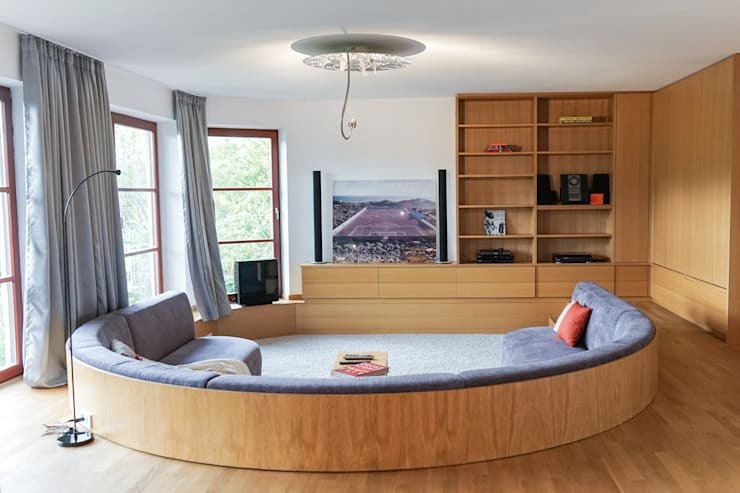 For the ultimate in communal comfort check out this circular sofa in this room designed by Gabriela Uberla. It's just perfect for a ladies night, a sports match with friends or just a little family time. The days of ugly, huge audio systems are seriously over. Just check out this for the ultimate in stylish audio equipment. 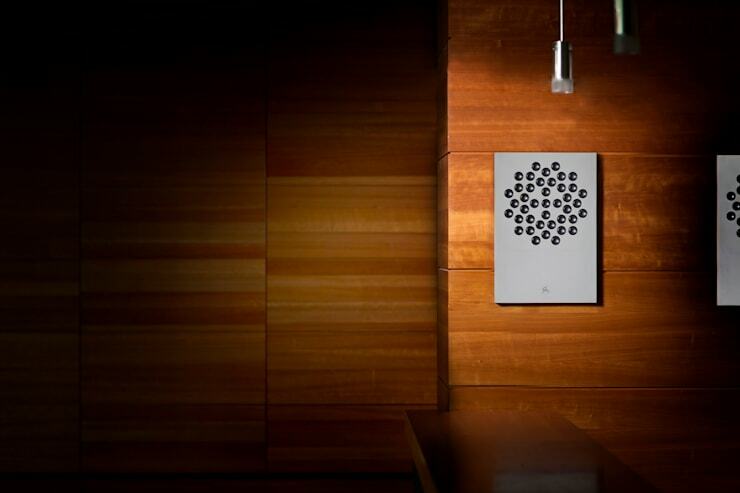 The F1 is an innovative wall speaker that is ultra-slim, active and wireless. It's made from concrete and is said to be easy to install. If you don't like the concrete look, it's available in a variety of colours. The producers Concrete Audio even offer the choice of a custom made removable cover. This is one room in a home where natural light is not really welcome. The best set up will enable you to have absolute control over the ambient light while still having enough light to reach those snacks! Ambient light is a big issue with plasma screens and the worst set up will make a projector almost useless during the daytime. Blinds and screens over the windows are a must. It's best to place to TV or screen so its back faces the wall with the worst light spillage. A TV mount will help you tilt the screen to avoid glare. Finally, to light up those snacks, try to set up your lighting in zones with floor lamps and LED lights and avoid having strong lights in front of the screen. Finally, don't forget the dimmers. Many people have an excess of ugly cables cluttering up their TV areas. Wireless technology will eventually eliminate the need for all these cords, but decent storage options are always a good thing. 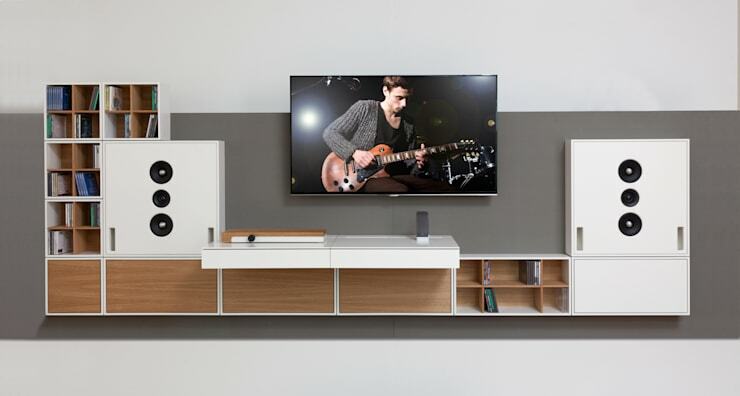 For those who hate the look of a permanent TV screen, consider something stylish and practical like this TV cabinet by Woodsound. A stylish cabinet might even contain some attractive doors to cover the screen for a little down time. Finally, we come to one of the easiest and most luxurious additions to the perfect TV room—blankets and cushions! See how there's dedicated space in this media room for a variety of blankets and comforters. It's just a small addition, but what a lovely, comforting idea! Now, let's get onto sinking into the sofa for a really great movie. If you are interested in media rooms, you will love this Ideabook How to decorate around a television. What do you think of these TV rooms? We'd love to hear in the comments below.